OneNet is building on regional partnerships to boost connectivity in the state of Oklahoma and throughout the south central region. OneNet’s geographic location as a crossroads uniquely positions the network to expand high-speed services across the region. OneNet deployed an open-source software that helps 10 universities and colleges, including the Oklahoma State University A&M system, share health and security policies. The open-source software allows users to share documents and organize them on one platform, increasing policy collaboration across multiple institutions in the state of Oklahoma. As OneNet’s executive director, I have a front-seat view to where science, technology, engineering and math education and emerging technologies intersect. One of my goals to support STEM education at all levels from K-12 to higher education. Technology and bandwidth are both vital to this goal. A new solution has eliminated travel challenges for Southeastern Public Library System of Oklahoma. Through OneNet’s new purchasing plan with Zoom Video Conferencing, the library system has implemented video conferencing for their trustee and staff meetings. As 2018 wraps up, our team is taking the time to reflect on OneNet’s achievements this year. We would like to extend our sincerest thanks to our customers for their continued support of our pursuit of advancing technology and empowering communities. I wish people knew more about the importance of a research and education network to the state. OneNet does far more than just provide internet service. Learn more about April in our #WeAreOneNet series. “I like the people that I work with, but I would have to say my favorite part is helping our customers. I like helping all of them but specifically the smaller ones that don’t always have someone on staff to help.” Learn more about Sky in our #WeAreOneNet series. The Lawton Public School district has saved both time and money by implementing OneNet’s cloud storage solutions. By choosing OneNet for their data storage needs, they can trust their data is being stored securely and efficiently. What do your usual errands include? Dropping your kids off at school…returning a library book…visiting your local health clinic…renewing your vehicle tag? All of these have one thing in common—OneNet. You may use OneNet throughout your day and not know it. Learn how #YouUseOneNet in our executive director column. “I wish more people knew about the culture. We work together, play on each others’ strengths and weaknesses, and look out for one another.” Learn more about Aaron in our #WeAreOneNet series. OneNet is committed to keeping you connected, so you can serve your community. 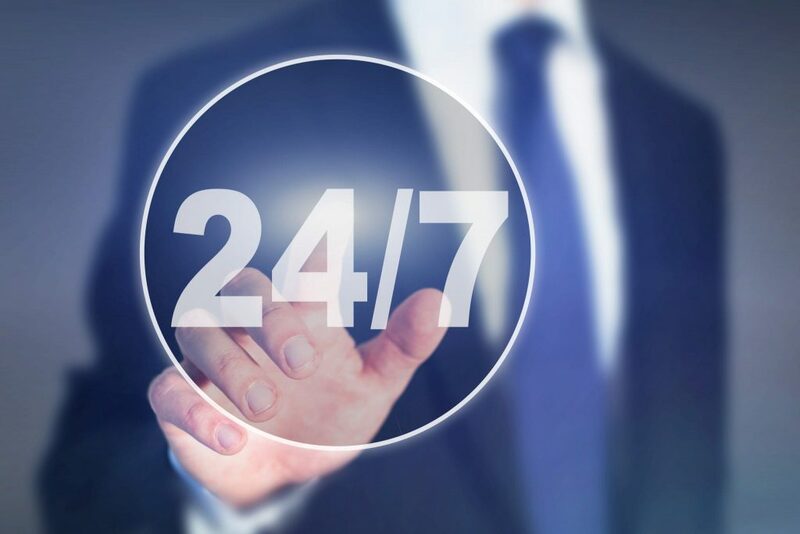 Our service desk and technicians are available around the clock to provide support and technical assistance. To submit an online help ticket, visit our service desk request page.